There’s never been any doubt in my mind that my family is a little bit country. 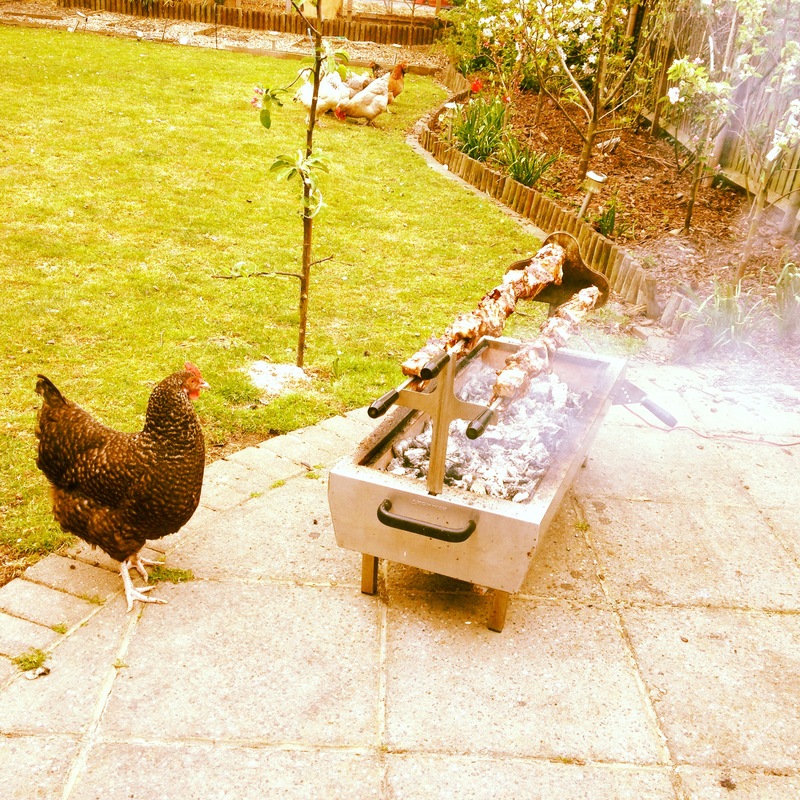 Easter Sunday was spent chasing the chickens away from the BBQ hoping they wouldn’t make the connection between themselves and their not so distant herb covered cousins. Some cultures dye their Easter eggs red, others mould them out of chocolate but my family decided all that was far too main stream. 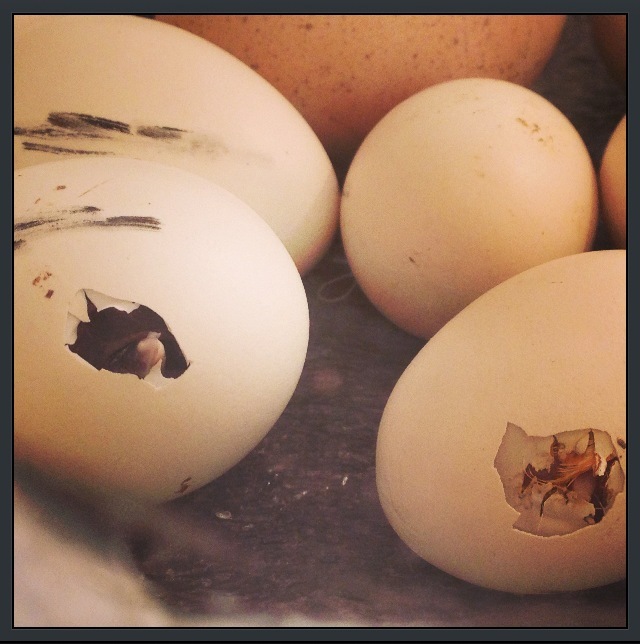 We weren’t having any of it, we were going back to basics and making our eggs from scratch. 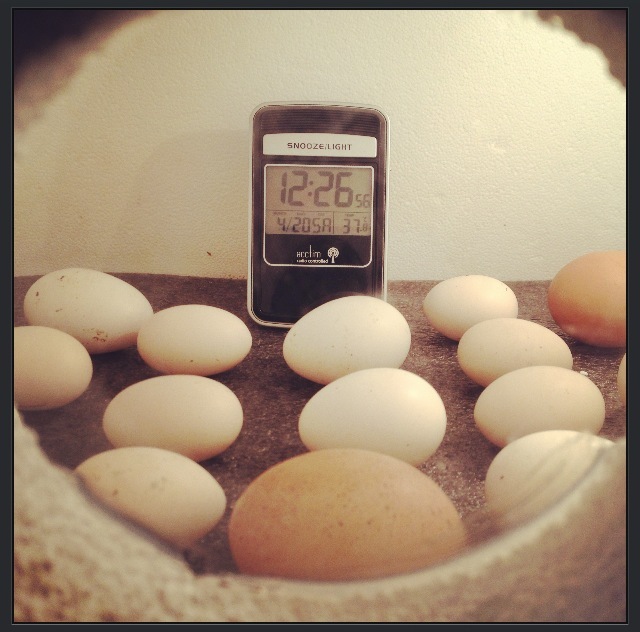 In the incubator at a tropical 37.5°c – tempted to get in there myself! I’m not talking Nigella Lawson here, I mean straight up Old MacDonald type stuff; 18 fertilized eggs, 1 incubator and a 22 day wait. I can safely say it is by far the longest I’ve ever had to wait for eggs. I am only left to hope that it is culturally acceptable to give live chicks to people for Easter because 18 children is somewhat more than I planned on having. The first beak came through while I was at work and apparently “I’m about to be a mum” wasn’t enough to get me out of work for the afternoon. I should have definitely used the “surrogate” excuse as opposed to the “one of my eggs have cracked” explanation I went with. It turns out it wasn’t an issue, these babies brought a whole new meaning to the term ‘slow cooked chicken’; they weren’t ready to come out and so they didn’t. I even tried to Google how long it takes for a chick to hatch (incidentally the number 1 suggested search when I started typing was “how long does it usually take for chicks to text back” reminding me that the days of rearing your own chickens at home are well and truly coming to an end). 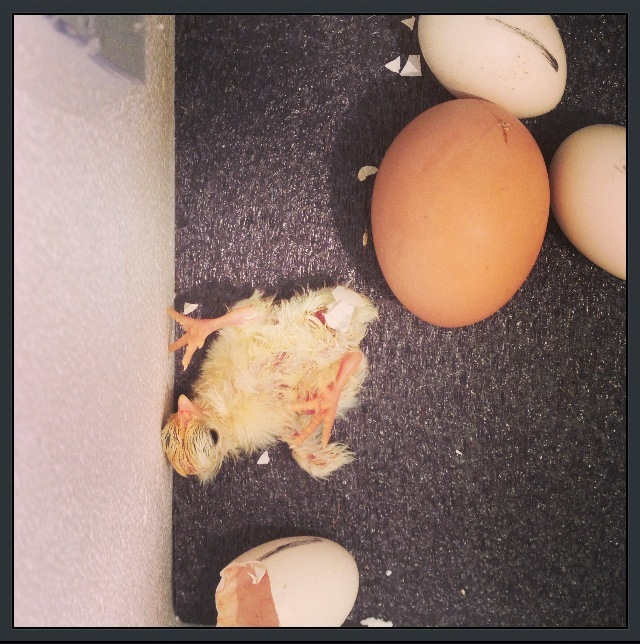 As for the birth of my first chick. Well I missed it. You know those men whose wives are in labour for hours? They sit next to a heavily breathing woman for what seems like forever, then the poor sods pop out for 3 minutes to get a sandwich and end up missing the entire birth. Well today I reach out to poorly timed men the world over and express my understanding. From this day forth “but I got hungry” will be accepted as an excuse for being absent at the birth, because missing that final moment… apparently is not that hard to do! 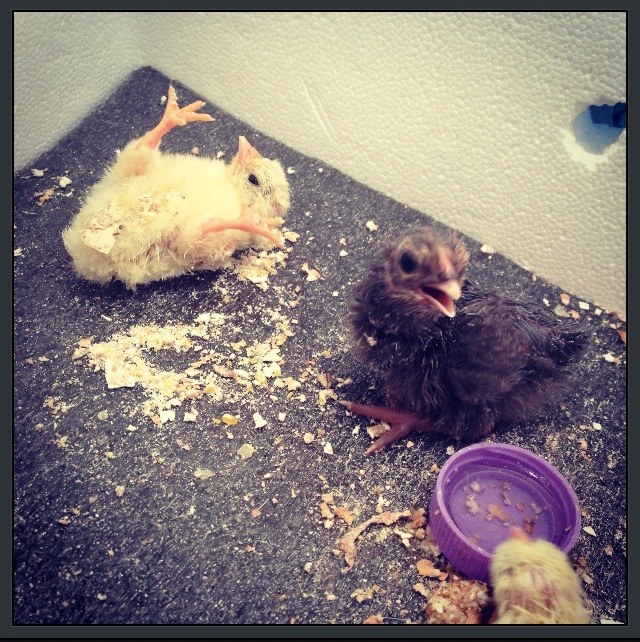 That being said of course I did have 17 more chicks to follow. As for this one, well he needed a name that proclaimed ‘first born’ and so I named him Adam. A stroke of genius on my (the internet’s) behalf. Ruined only by the fact there’s still a 50% chance it turns out to be a girl.